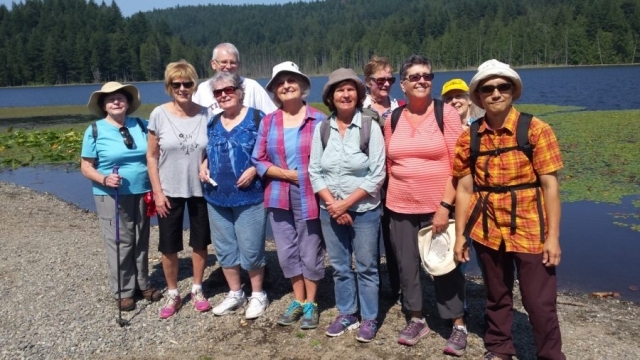 On a beautiful August 13th we hosted a group of members of the Elders Council for Parks in British Columbia, who visited the Island to hike around Killarney Lake. We met the group at the Community School and headed off to the Killarney Lake trailhead. Then we set off around the lake, stopping on the Boardwalk for a bite of lunch. 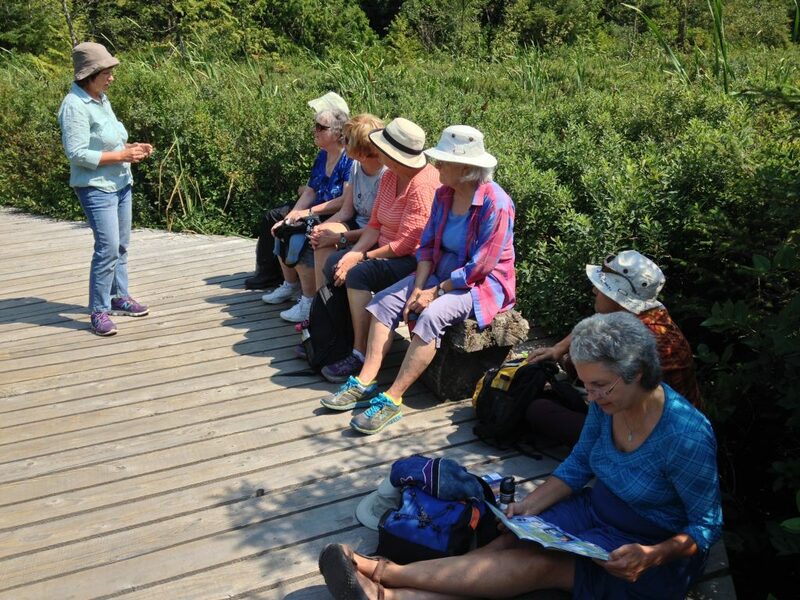 It was a memorable outing for the group and after almost 3 hours they went their separate ways, stopping to look around Snug Cove and then heading back into the city.